By Alexis Leon and Mathews Leon, Vijay Nicole Imprints Pvt. Ltd., 2014. Databases and database management systems have been the backbone of enterprise computing for the past many years. The market is growing bigger in terms of size, and will continue to gain prominence in the coming years. With the consolidation, standardization and centralization of IT systems underway in most organizations, the demand for highly scalable and reliable database systems is on the rise. Earlier database management systems were used by only very large players such as the government, the banking, financial services and insurance sector, telecom, IT services, manufacturing, and the retail sector. Reduced implementation costs, advancements in technology, growth of the e-business sector, and increased popularity of the Internet and WWW are the factors responsible for the increased use of database systems. The availability of databases and database management systems that is suited for small businesses to multinational organizations and the awareness about the advantages of database systems have made databases an integral part of every business enterprise irrespective of their size. In today’s highly competitive marketplace, where information is a strategic weapon, the demand for databases and database management systems is increasing exponentially. Organizations need skilled professionals to implement and manage their databases. The employees need to know the database basics to analyze the data and use it for effective decision-making. So, the demand for people with good knowledge of databases and database management systems is increasing and will continue to do so in the future. 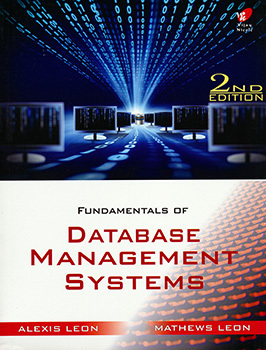 Databases and database management systems are one of the most important subjects for the computer science and information technology students. Probably, the only subject that is more important is Software Engineering. Both Software Engineering and Database Management Systems form what we call the core subjects of the Computer Science and IT courses. These are the two subjects that will help the students in their transition from the classroom to their careers. The advantage of DBMS (and Software Engineering) is that these topics are generic and will not change. Yes, there will be new developments and new theories but to understand those theories and developments one need a thorough knowledge of the fundamentals. This book is written with the objective of making you an expert in the fundamentals of database management systems. Our goal when we started writing this book was to produce a volume that will cover all the required topics to a level that is not overwhelming but enough to satisfy the needs of the target audience and present the material in a clear and easy-to-understand style. The book contains 33 chapters and one appendix (model question papers).